Tron Legacy is shaping up to be the top release this holiday season, when it is released in December. (Watch the latest trailer here!) Things are going so well that Disney is already planning for the eventual sequels. They have the writers of Legacy working on a sequel script to turn the series into a trilogy. When signed onto the latest film the stars were optioned for a sequel if the original does well. So, no contracts have been signed, but the main cast should all be back (the ones that survive). Legacy is the sequel to the popular 1982 film Tron starring Jeff Bridges and Bruce Boxleitner. Jeff Bridges plays Kevin Flynn, who gets put into the cyberworld that is policed and controlled by the Master Control Program. Flynn befriends programs while in the system, including Tron, who help him take down the MCP. In Legacy Flynn is stuck in the mysterious cyberworld again, and his son Sam Flynn (Garrett Hedlund) inadvertently gets send into the same world. Kevin and Sam must survive the more advanced and dangerous world that has been created. 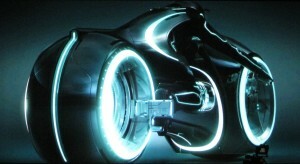 Anyone who has seen the original Tron film in the past few years can see it is has passed its prime. The effects are beyond outdated, and they are slightly humorous. Tron Legacy looks absolutely stunning, and just judging from the trailers, it is going to be a huge hit at the end of the year. I’m not surprised they are trying to make another film, and I wouldn’t be surprised if they try for another one or two after that.